SealPod is a patented reusable capsule system that works with your beloved Nespresso® OriginalLine™ machines. The pod system consists of refillable capsules made of stainless steel and recyclable lids that are either aluminium or paper based. We give you back the choice to use freshly roasted coffee or your favourite brand. Sip your favourite coffee and preserve the environment, save energy and reduce global warming. Money saved can be put to better use - for a good cause! Sealpod capsules have been designed to work with most Nespresso® OriginalLine™ machines. Sealpod does not work with VertuoLine™ machines. * Nespresso® Inissia™ may not perform as well as other Nespresso® OriginalLine™ machines. 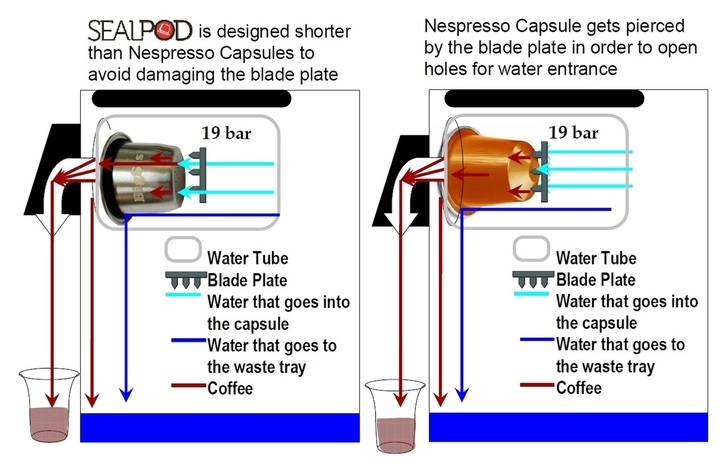 Sealpod’s patented refillable capsule system for Nespresso® will not damage your Nespresso OriginalLine machines. The Capsule - Made of 304 Stainless Steel. The Ring - Made of heat resistant silicone. The Lid - Made of anodized aluminum or paper & non-toxic glue. The Cover - Made of heat resistant silicone. What type of grinder to choose? We highly recommend using a burr grinder for best result. 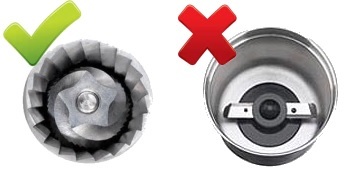 A blade grinder creates too much dust and inconsistent grind like your home mini blade grinder. Burr grinders do a good job of getting a more consistently sized grind without heating up your coffee beans so the good flavour of your coffee can be retained. 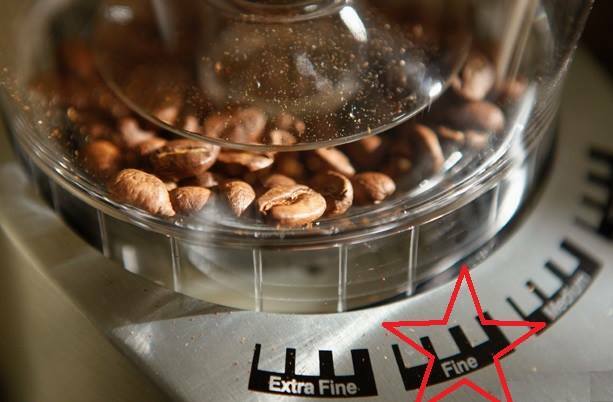 On your burr grinder, set to Fine and not the finest or extra fine setting for espresso. On Porlex Mini Hand Grinder, the setting is the 3rd or 4th clicks (depending on coffee roast level) from the finest. 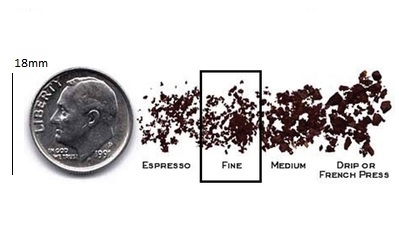 What is the ideal grind size? SealPod capsules use a fairly Fine or medium fine grind but not espresso fine grind. About 0.5mm is ideal. How to fill your SealPod? Use the scoop provided to fill your capsule with your coffee. You can fit the capsule into the scoop and scoop coffee directly into the capsule. Then use the base of the scoop to tamp the coffee. We recommend filling and tamping twice. This will allow more pressure to build in the capsule. Finally, run the handle of the scoop over the rim of the capsule to remove any grinds before you seal with the SealPod espresso lid. Slot the filled capsule into your Nespresso® machine and press start to brew. Enjoy your cup of aromatic Espresso with a rich crema! How to clean your SealPod? Let the capsules cool down before you touch them. That will also make it easier to remove the SealPod espresso lids. Once the capsules are cooled, you can remove the espresso lids. To do so, puncture with the handle of the scoop, then peel off espresso lids. Rinse your capsules in the sink and wipe dry with a soft cloth.